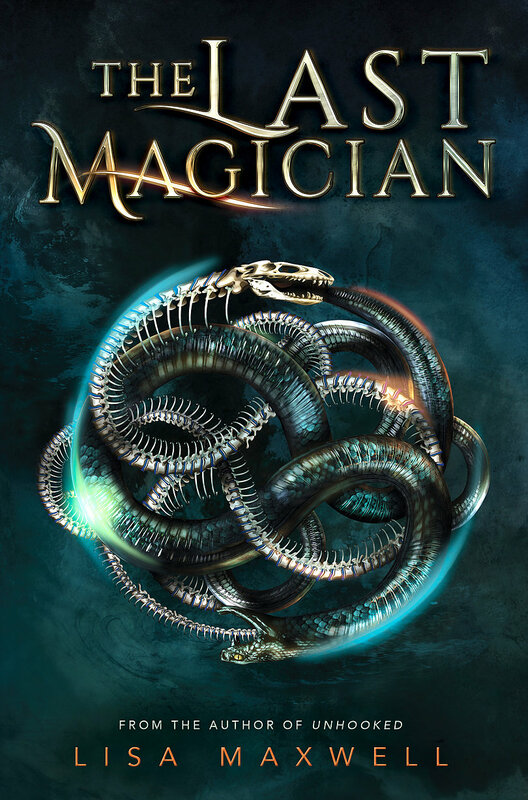 I’m excited to be a stop on The Last Magician blog tour! Today, I’m sharing an exclusive cute scene from one of the first drafts of the book! This is an older version of Esta’s opening scene—back when Lisa Maxwell was trying to write the book in first person. Enjoy! Lisa Maxwell is the author of The Last Magician, Unhooked, Sweet Unrest, and The Gathering Deep. She grew up in Akron, Ohio, and has a PhD in English. She’s worked as a teacher, scholar, editor, writer, and bookseller (at Little Professor Book Center in Alabama). When she’s not writing books, she’s a professor at a local college. She now lives near Washington, DC, with her husband and two sons. You can follow her on Twitter @LisaMaxwellYA or learn more about her upcoming books at Lisa-Maxwell.com. The truth is, there’s always been magic in the world. In the beginning, magic was what allowed the first fire to be contained, the first words to be inscribed. The first kiss to spark desire. In each land, among each people, magic grew up unique and singular to that place, yet all linked by a common thread. But people tend to fear and hate and kill what they can’t hold in their own two hands, and not everyone can catch that thread between their fingertips. But I can. It wasn’t magic that let me slip out of the ballroom undetected that night, though. It was simple human nature. People never pay attention if they feel safe, and since I was wearing in the shapeless black dress and starched white apron of the waitstaff, I hardly appeared to be a danger. Funny how people can miss what’s right in front of them. That’s also simple human nature. The women in sleek, glittering gowns, their fingers heavy with jewels, and the men who swaggered and bleated like sheep at the jokes of their cronies were too busy looking at each other to bother to notice something as insignificant as the help. But then, rich never really look at the people who serve them. They miss the creases of exhaustion around the eyes and the slope of tired shoulders under the weight of unspoken heartaches, so if the person holding a tray happens to be sizing up a diamond stickpin, they miss that too. No, it didn’t take any sort of magic to be invisible in that room, among that crowd. No one noticed when I took the tray of champagne or questioned me as I left the tinkling hum of the party, because no one bothered to look at me at all. Outside, the storm had grown strong enough to cause the crystals in the heavy chandelier above the grand staircase to tremble every time a crack of thunder sounded. Inside, the party guests were too busy making themselves feel important to bother watching one serving girl, so when I headed in the opposite direction from the kitchen, no one stopped me. And they didn’t notice the slight bulge in the front of my dress that concealed the knife, either. I glanced up at the ornate ornate clock that hung over the arching doorway. Eleven twenty-three. I had less than ten minutes to be in position. Dammit. I’d let myself get distracted, and now it was going to be tight. Maybe too tight, even for a thief as good as I was. Not that I regretted the diamond stickpin I’d taken from that randy old goat. Four carats and enough fire in the stone to light up a dark room–he deserved to lose it for they way he’d been pawing at a young maid, a girl young enough to have been his granddaughter. It hadn’t exactly been a chore when I tripped and accidentally dumped my tray of drinks on him. And if it had been almost too easy to liberate the pin as I fussed over his wet shirtfront, allowing the other girl time to get away, I didn’t even feel sorry for him. No, I couldn’t regret the distraction. Regret was for people who dragged their past along with them everywhere, and I couldn’t afford that kind of dead weight. Not when I had to be nimble, quick. I liked to leave my own past right where it belonged–behind me. And I never, ever visited. Besides, how could anyone regret a diamond? I am very interested in this book, and excited to have discovered a new to me author! That’s great, Mary! I hope you’re able to read the book soon! This book sounds fabulous! We lived in NYC for two years after my husband got out of the Marine Corps, I think it is the perfect setting for fantasy! I love the idea of this fantasy being set in modern/past NYC! I can’t wait to read it! This is a super cool post! I don’t think I’ve ever read a guest post which contains a “cut scene”. The Last Magician is definitely on my TBR. I can’t wait to read it! It really is awesome that Lisa shared this cut scene on my blog! I hope you enjoy TLM—I can’t wait to read it too! Let me tell you this book was amazing. The writing was beautiful and the cover. I’m glad you enjoyed TLM so much!